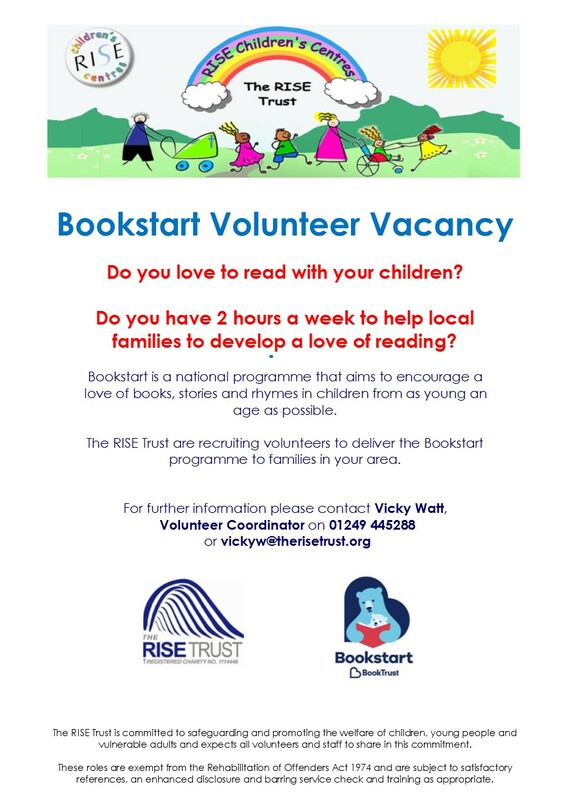 Please click the link for our current list of vacancies…. 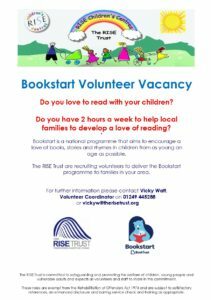 Without volunteers the RISE Trust would not be able to reach the number of people, young and old, that need us across Chippenham. 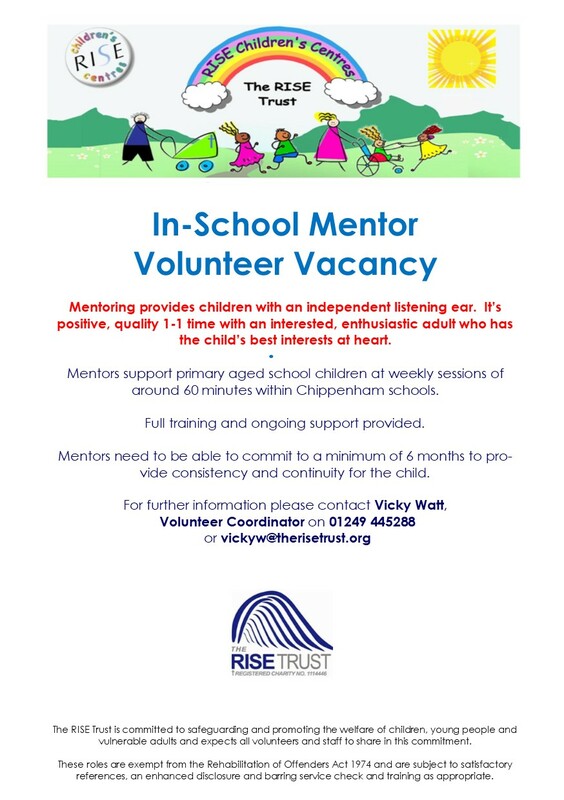 Volunteers provide a valuable source of experience and knowledge that enrich the services provided by the Trust. 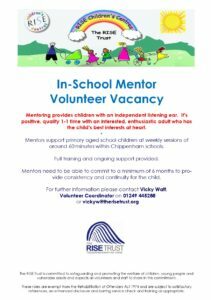 The rewards of volunteering are immense; from the pleasure of knowing that you have brightened up someone’s day by being there to the satisfaction of seeing someone develop their potential and grow in confidence. and she will send you our volunteering pack.